Create a folder and run navigate to the folder using your tool of choice for running node commands. I use Git Bash. Run the following command to install the api-benchmark package. This would require node to be installed beforehand. In this example we will use the Giphy API. Giphy is a GIF search engine. So let’s define a few variables that we will use. Let’s add the routes which we want to test. In this example we will get the trending gifs. To see this in action we will run the benchmark by running the following command in your console. And you should see something like below. This does show that our benchmark ran but we cannot interpret the results from here. 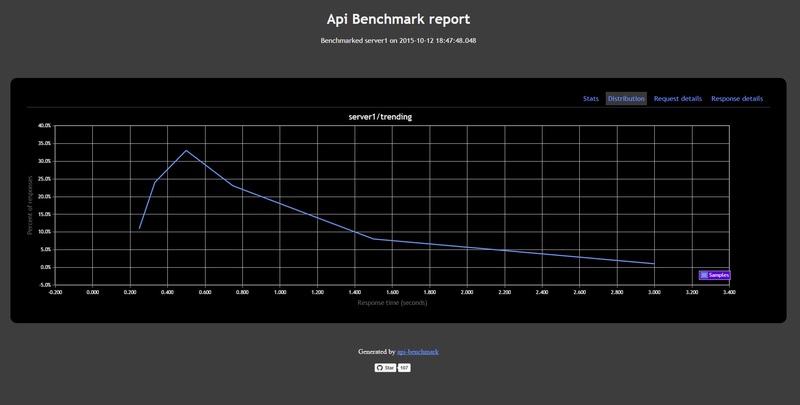 To see that we will have to use the getHtml method available on api-benchmark. However this will dump the entire html on the console which is nearly impossible to understand. This would create a new html file (benchmarks.html) in your current folder with the results. It would look something like below. 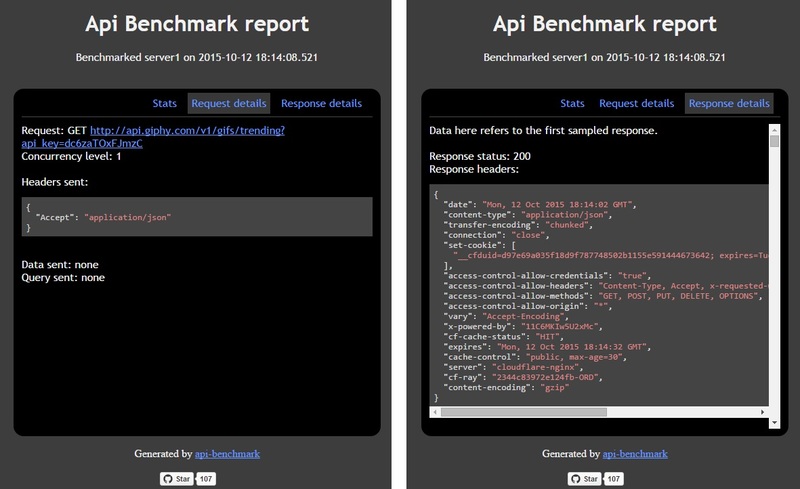 You see the details of your requests and your api is performing. It also has 2 more tabs which show Request Details and Response Details as well. All of this provides great insight into your APIs. Any questions, comments or feedback is always welcome.